How often do you hear about tension between the Sales and Marketing teams in a company? Why is it that two departments working towards the same objectives should have differences of opinion? Why should they? The marketing department works to provide qualified leads for the sales department that they can then work with and hopefully turn into new clients. B: Marketing thinks sales is not optimising the opportunities. Both Sales and Marketing are working towards growing the company. Both departments can do their jobs more effectively with the support and help of the other department. They both want more customers, more brand awareness and more profits. While each team takes a different route, ultimately everyone is heading in the same direction. An open dialogue between the two departments is essential and it’s a good way to find common ground. 2. Collaborate on your Content. This is a two-way street. 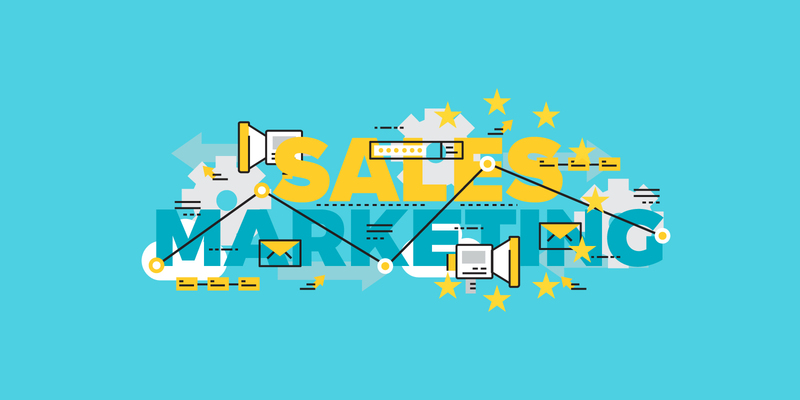 A major factor in improving your sales enablement strategy is to create content that sales can use in their proposals and throughout the selling process. Sales should be providing input to marketing and vice versa. This does not mean telling each other how to do their jobs. It means both sales and marketing need to work together to understand their audience and create targeted content that speaks directly to customers and is executed at just the right time in the buying cycle. Marketing informs content that is relevant and engaging to the target audience, while sales can inform content that is personal and customized to the individual prospective customer. Marketing works hard to provide leads which are warm and qualified, however, like any lead, they may need some nurturing. This where sales can use their client knowledge to draw from a variety of materials, including blog posts and downloadable guides, to nurture prospects and make their job of closing the deal that little bit easier. How can your fellow coworkers support your efforts if they aren’t clued into your objectives? I always encourage marketing managers to discuss their objectives with the sales team. By simply sharing what you are trying to accomplish between your departments, you can get better support. Remember, you can’t get support for your initiatives if no one outside your department knows what they are. The marketing manager and the sales manager should be meeting together regularly anyway. If you’re not, now’s the time to start. Discuss the different issues your teams are facing and you can do to help each other. Don’t be afraid to share issues you’re each seeing that the other should be aware of. Communication, as in every walk of life, is key. You must have regular meetings, with previously agreed topics for discussion. Ideally you should have data to back up queries or problems. Creating a streamlined communication process will improve a company’s overall ROI. Work with your teams internally to create a culture of communication and honest feedback and this will help both teams to be successful and to build long-term relationships with clients and prospects. If you would like help with your B2B marketing strategy contact Hexa Digital today.